Finally the world can answer that age old question: Who will win in an all out, to the death fight between Sweet Tooth, Kratos, Sly Cooper, and Toro the Cat? More evidence has surfaced that suggests that Sony is preparing its very own Super Smash Bros.-style fighting game for its stable of mascots and characters. 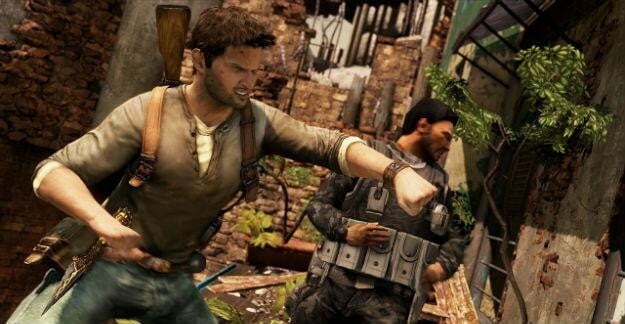 PlayStation All-Stars Battle Royale will be the game that lets Nathan Drake punch Clank right in the propeller. A reader sent in screen shots of a recent Sony-distributed survey to PlayStation LifeStyle that included questions about PlayStation All-Stars Battle Royale. Both questions were about the game’s name, particularly how the survey participants felt about how the name fits the game and how they like it overall. The implication is that Sony still doesn’t know quite what to call a game where Ratchet and Wander from Shadow of the Colossus could possibly hang out. When news about the game leaked last November, it was thought the game would be called Title Fight. Reports from The Paul Gale Network and Eurogamer detailed the fighter being made by developer SuperBot Entertainment. Members of the NeoGAF forum meanwhile uncovered pictures of the game Tweeted by level designer Chris Molina. Sony is expected to unveil PlayStation All-Stars Battle Royale at E3. One hurdle the game faces: Cognitive dissonance. All Smash Bros. characters exist in tonally similar worlds. Even Solid Snake and Samus come from relatively cartoony, fantastic places. It’s kind of hard to picture the Helghast and the caddies from Hot Shots Golf existing in the same place. Then again, that might be just the kind of weird that makes Battle Royale great.